Bilingualsanfer: INTERNATIONAL CHOIR PROJECT. 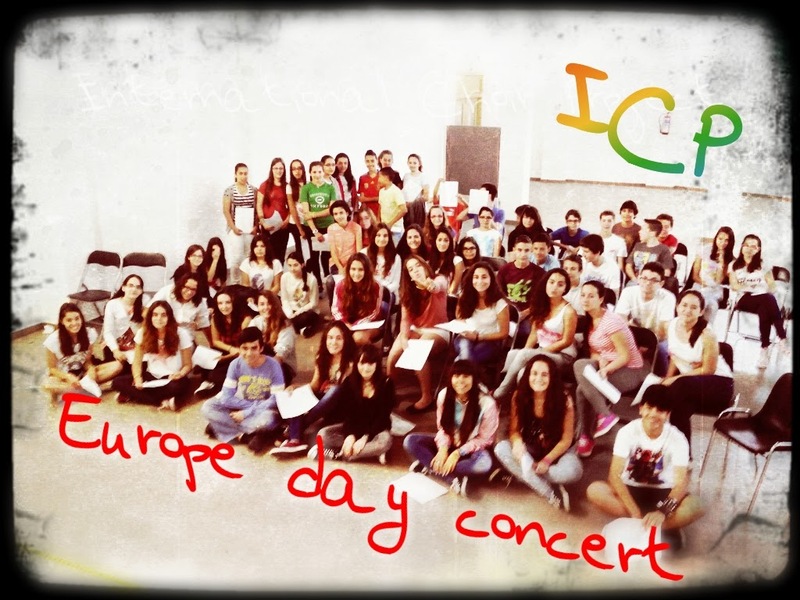 EUROPE DAY CONCERT. INTERNATIONAL CHOIR PROJECT. EUROPE DAY CONCERT. At last we have made our official presentation. As today, May the 9th, we celebrate the Europe Day and all our repertoire is based on different lenguages, we have appeared for the first time on a stage. About fifty students took part in an wonderful and unforgettable experience which started early this year 2014. All of us remain open-minded to sing new songs, no matter where they come from or their lenguages. Next station: "Día del centro" (30th of May). Unfortunately, we have no sounds registered, but we leave you this fantastic picture.